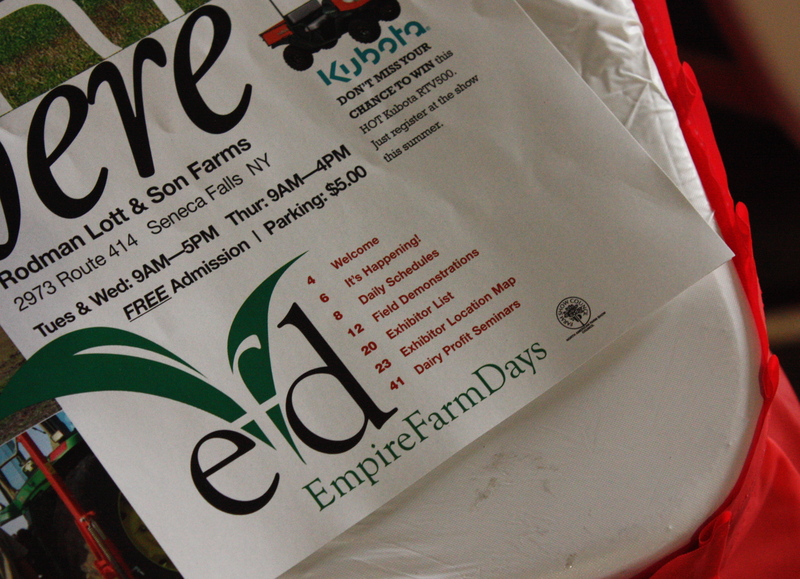 Today was the beginning of Empire Farm Days, basically a big New York State (Empire State) farm fair! I didn’t talk too much about my internship because of the semi-sensitive nature of my work. But now that it’s over, I’ll share a little bit about it without disclosing too much. 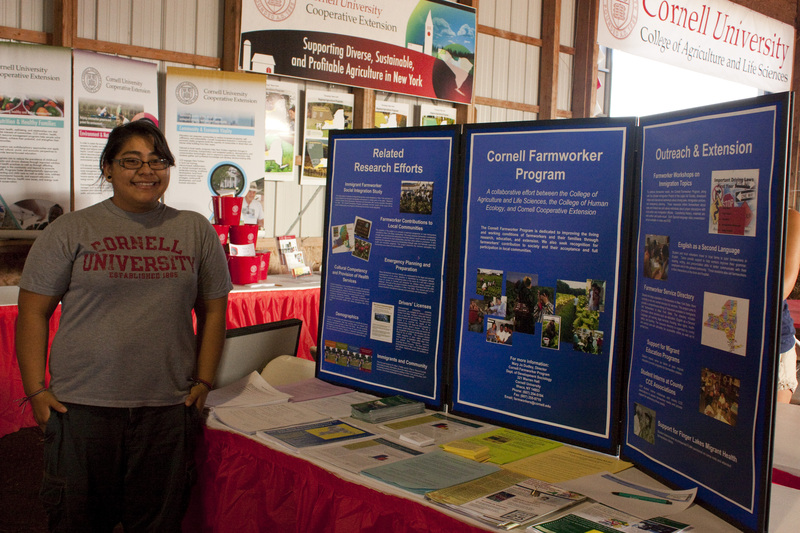 My internship was with the Cornell Farmworker Program and we had a table in the Cornell Cooperative Extension barn/shed/tent. My partner in crime, Xochitl, and I drove to Seneca Falls bright and early this morning to set up our table. We provide information for migrant farmworkers in the state, as well as information on farmworker economic and community contributions. Interesting stuff. 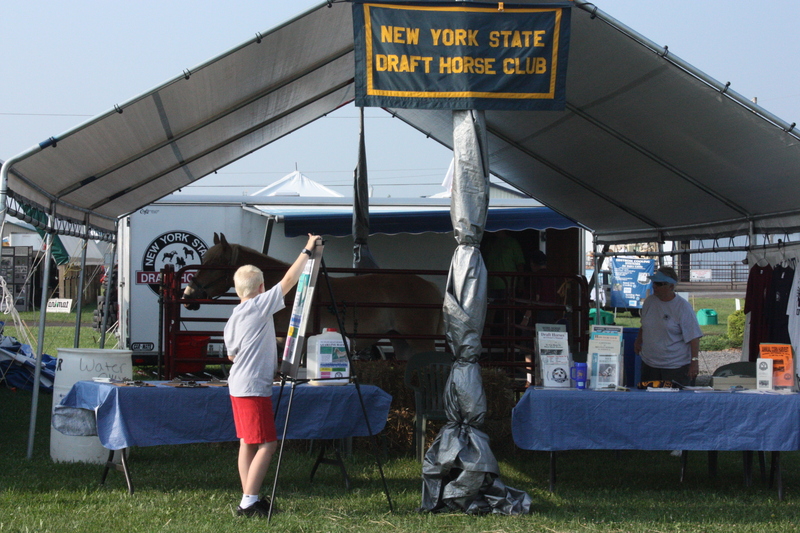 We got there a little early so we walked around to see what Empire Farm Days had to offer. I thought this was really interesting because while a know a fair amount about food security and food systems, I know very little about actual farming. 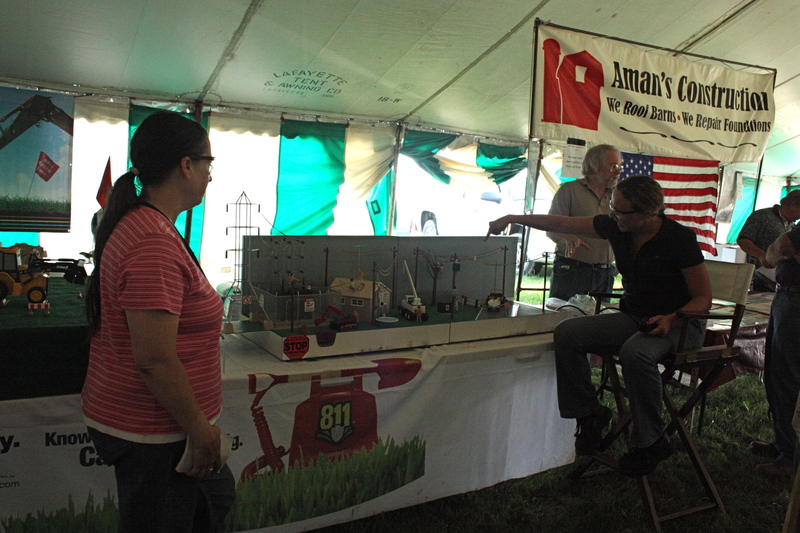 There was a ton of information about new technology, sustainability, techniques. Pretty interesting for a self proclaimed “city girl” like myself. I like getting to learn different lifestyles and experience new things. 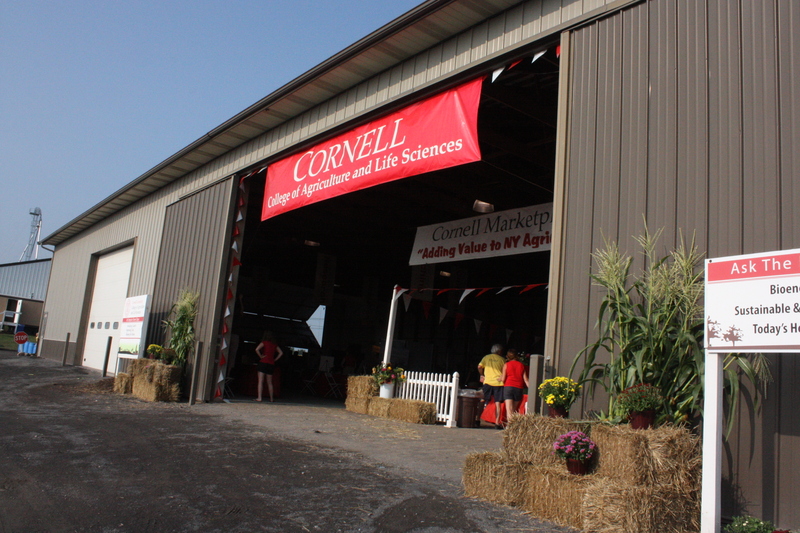 Honestly, that’s one of the reasons I chose Cornell for grad school. 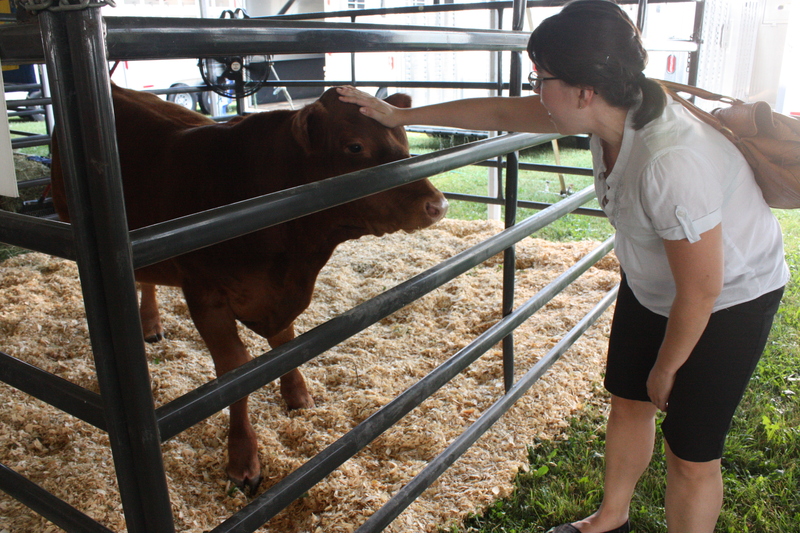 I could have stayed in LA or gone to NYC, but I wouldn’t have learned fun new things about agriculture and rural life! When else would I get to spend 2 years living in the middle of nowhere!? 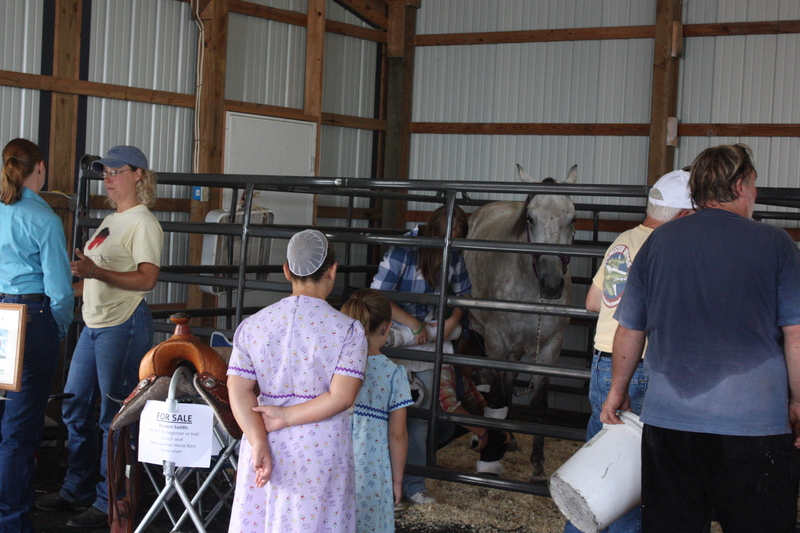 Obviously, the most exciting part for me were the animals. Overall it was interesting, especially as someone who doesn’t eat meat. I think I’ve said it before but I don’t think eating meat is wrong. My concern is with animal treatment, environmental issues and overall health and overconsumption issues. 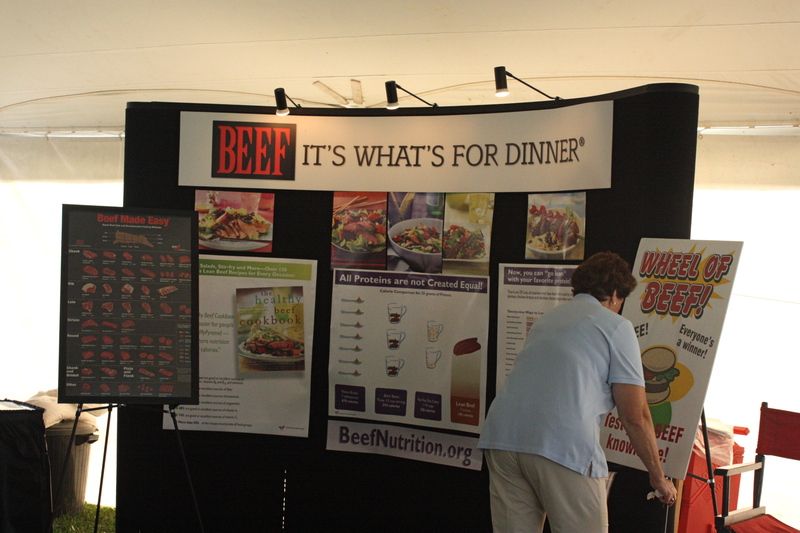 I know this sounds weird but I was pretty glad there was a live cow next to this Beef: It’s What’s For Dinner poster. It’s important to know where your food comes from. At the risk of offending card carrying PETA members, I will say petting a few cows didn’t stop me from thinking the BBQ stand not far away smell amazing! 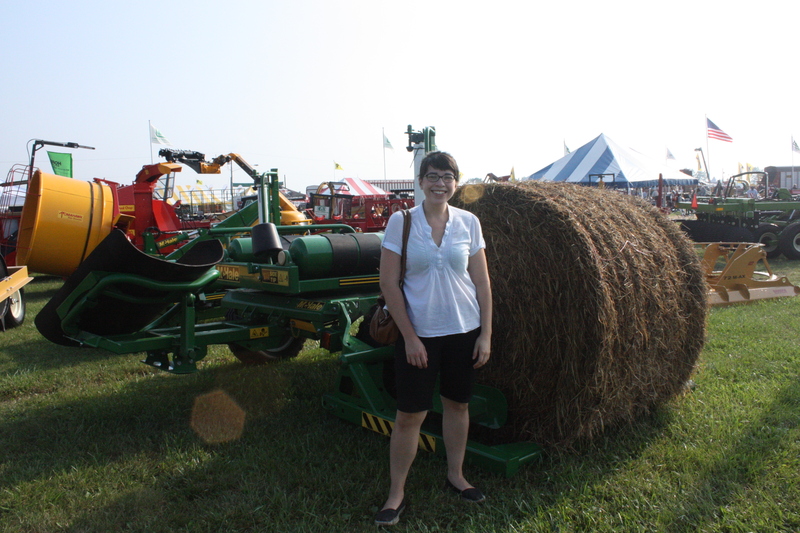 I got to see what tractor ROPS (Roll Over Protection Structures) look like in real life! I’d only heard about them through my internship when we talked about on the job safety. Safety first! 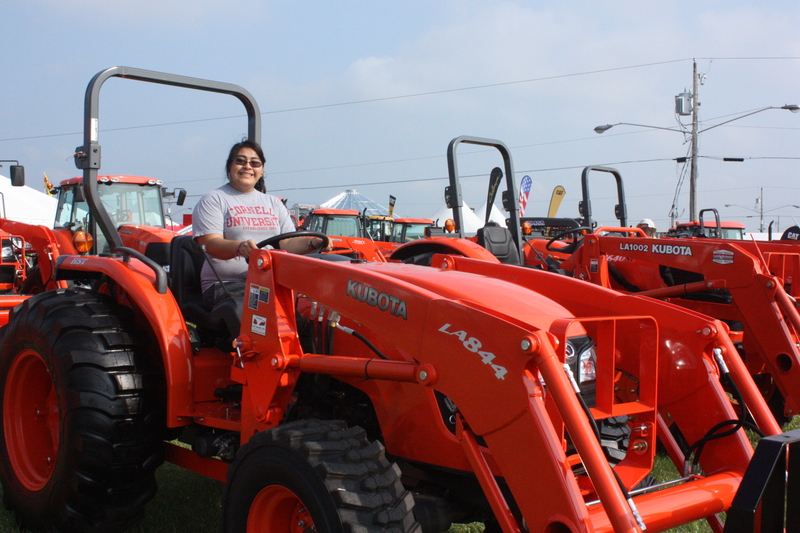 Xochitl knows all about tractor safety. After a few hours, we headed home. I was pooped! After a nap, I made a simple, meat-free dinner. 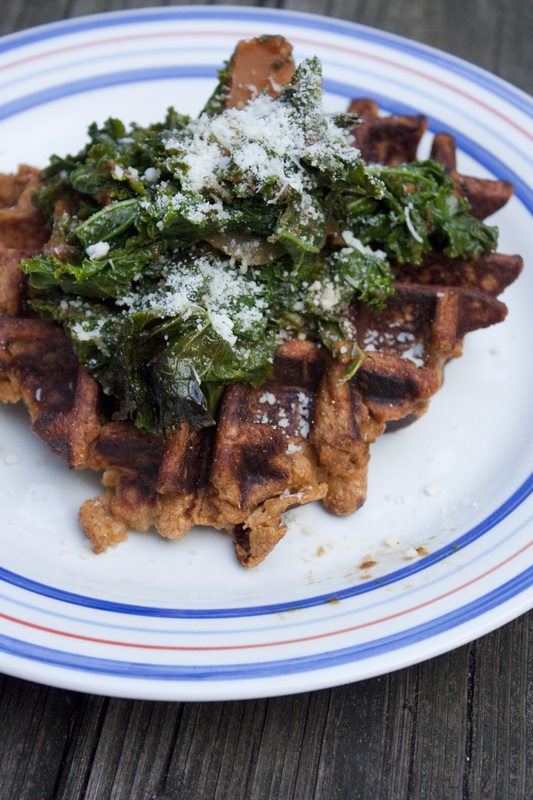 Sun-dried tomato waffle topped with some kale sauteed in pesto. The waffle was as delicious as the first time I made it. If you still haven’t tried it, I suggest you do so soon! 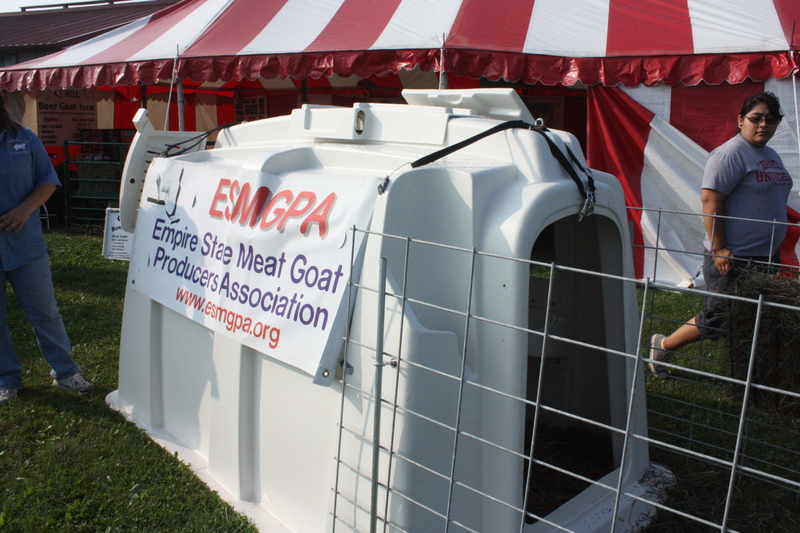 Also, if you’re in the Upstate/Western NY area I suggest you take a little trip to Seneca Falls to check out Empire Farm Days. Even just from a foodie perspective, there were a ton of interesting things (a lot of which I didn’t photograph)! Off to watch Modern Family and pack for my trip to Florida on Thursday! Have a lovely night! Posted in: Uncategorized | Tagged: Agriculture, Environment, Food Security, Fun!, Kale, Quick and Easy, Vegetarian, Veggies! Definitely looks like a fun experience – and your internship sounds very interesting! If only I was just a leeeetle bit closer. How awesome! Your partner’s name…wow. I’m really curious as to how that’s pronounced. ANYWAYS. 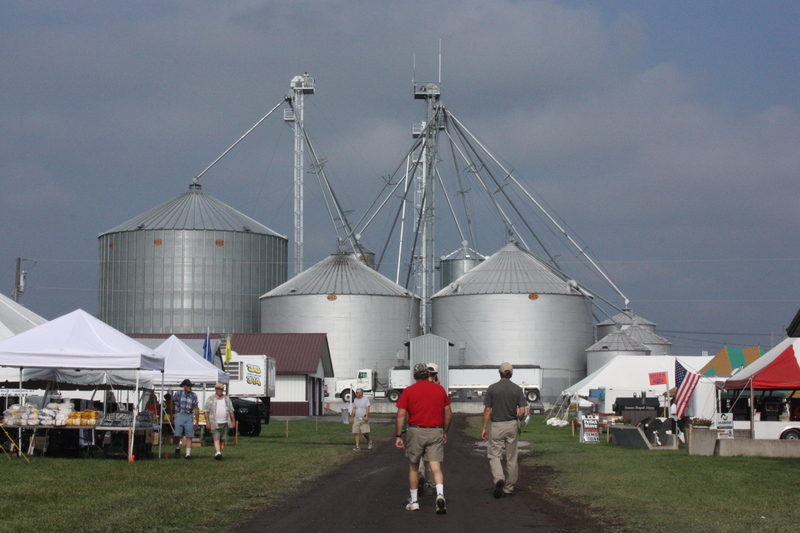 I totally “get” the city girl loving and being interested in the country life. I’m right there with you! When we moved to Tulsa it was a huge adjustment, but I don’t think I could go back to Chicag0/NY/Boston-like craziness after a slower pace of life. Plus, everyone is SO nice in the country! 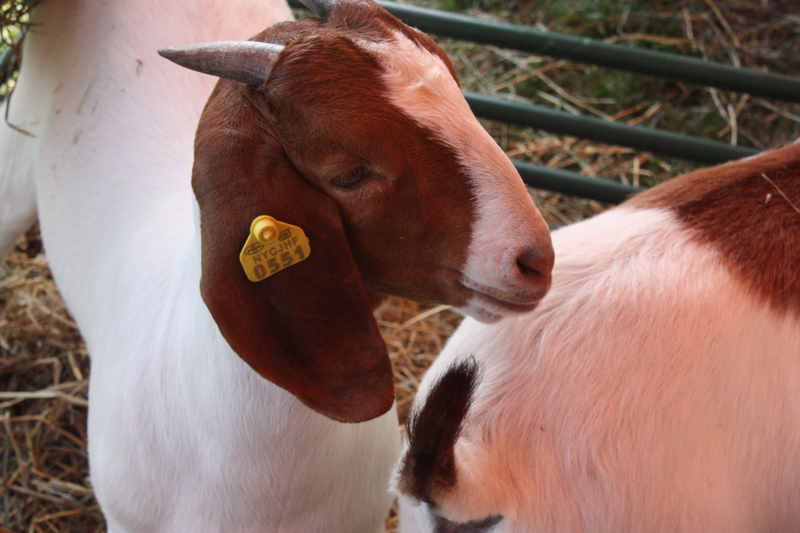 Love the pictures from the Fair – it reminds me of home! Looks like a very informative and fun day. 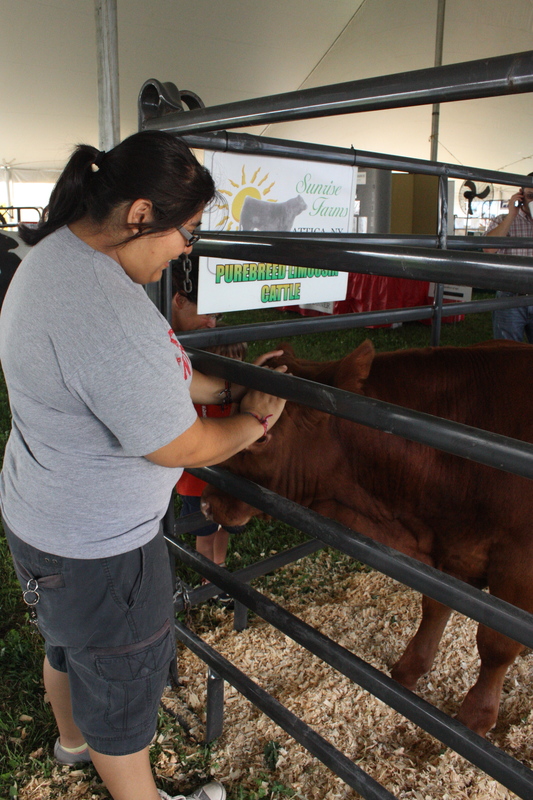 Is it wrong that I would have been able to pet the cow then eat the BBQ? that waffle looks amazing! 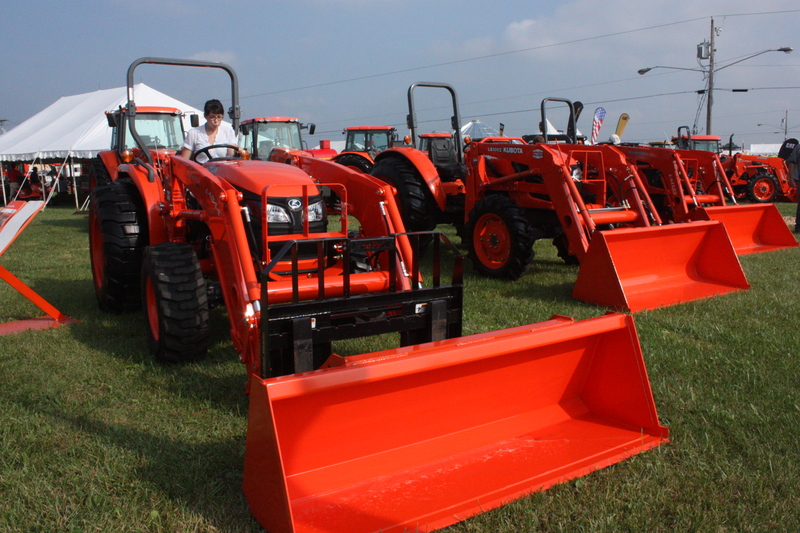 i have never seen a tractor in person, i don’t think – they look humongous! 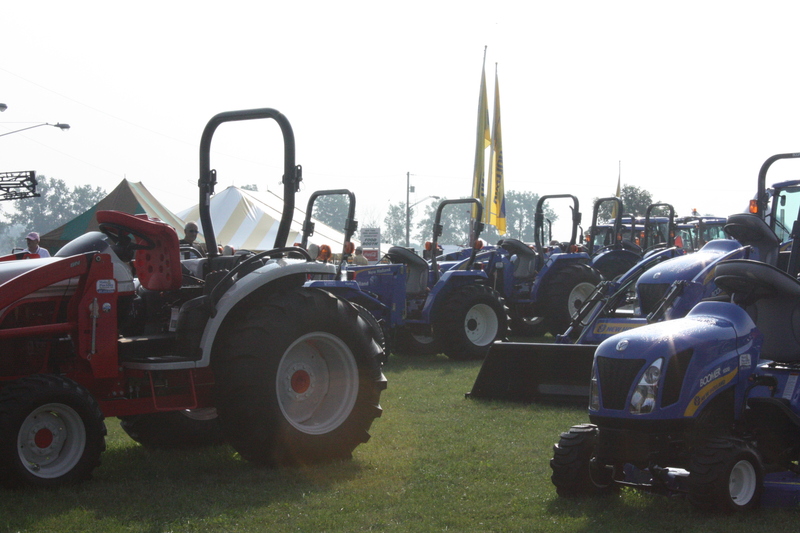 Woah, there are a lot of tractors there! And lots of cute animals! I stumbled across your blog while looking for vegetarian ideas and it is, by far, my favorite (It’s only taken me 3 days to read through the entire thing and bookmark recipes). Your pictures are so bright and beautiful, and make every dish look delicious and exciting. I just recently cut meat out of my diet and your blog has given me 100 great ideas. Thanks! I look forward to reading more! I don’t eat beef either (really we don’t eat any mammals) and when I smell BBQ or Steaks cooking, I think they smell good too! It doesn’t ever LOOK good to me though!!! I do eat chicken and fish, and we keep chickens and this year we raised meat birds for the first time. I have to say that although my motivations for not eating mammals are health-related, I do sometimes struggle with eating ANY animals, especially ones I have raised myself. The White Chicken Chili my hubby made from the first chicken we freshly slaughtered (I hate using that word, but I guess it’s accurate) was really, really tasty! At first, I told my hubby I wouldn’t eat, but then I finally gave in. At least I know the chicken had a happier life in my backyard that he would have on a factory farm! Wow, that looks like a great time! !